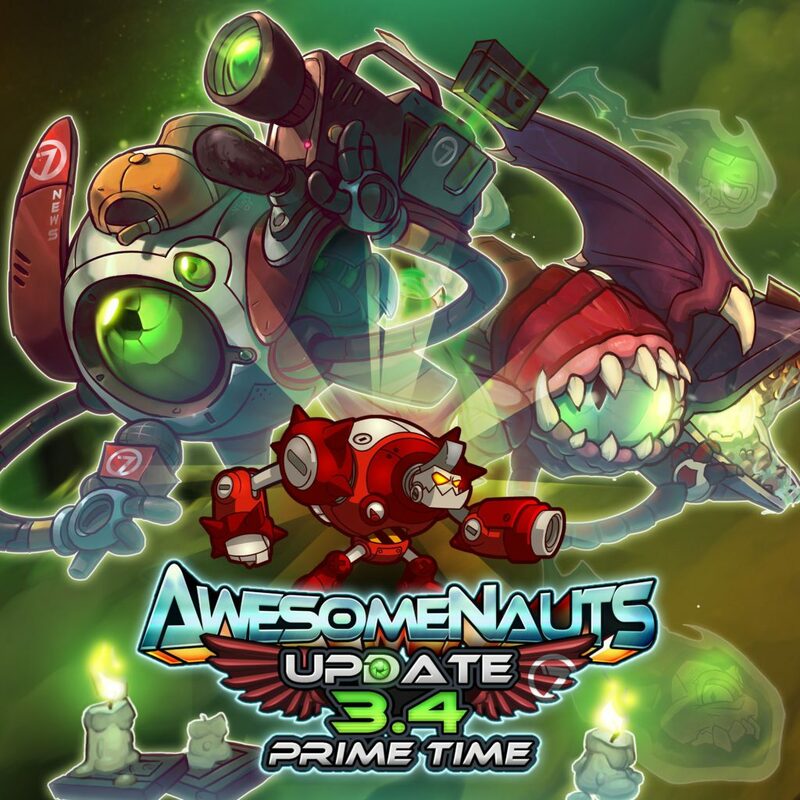 Awesomenauts 3.4: Prime Time will launch on December 14th! That means the release of Spectator Mode, the visually reworked Clunk, and the new Overdrive-‘Naut Max Focus are less than a week away! Over the last couple of weeks we’ve done a lot of testing on both the new character and Spectator Mode, and made numerous tweaks and improvements! Thanks to everyone who helped out in the Open Beta and provided us with their feedback! There’s one more Beta Update coming tomorrow, to test out some of the final tweaks that we made. Furthermore, when the update goes live the digital artbook will be made available to eligible players who backed our crowdfunding campaign at the required tier. You’ll receive an email about that when the time comes! Once Awesomenauts 3.4 is available, Max Focus will join Professor M. Yoolip, Chucho Krokk and Jimmy, Amy, and their LUX5000 mech in the Overdrive Expansion. The Spectator Mode, which is one of the features that was funded through our Awesomenauts: Starstorm crowdfunding campaign, and the visually reworked Clunk will be available to all players for free.